Globe review finds scores of violators have decamped to the suburbs. Mayor Walsh vows to rein in the exceptions. In the building Joe Fidler cleans, 10 teachers and other classroom instructors who have not worked for the city as long as he has live in the suburbs, according to payroll records. Thirteen of the 22 top leaders in Boston’s Police Department live outside the city in apparent violation of the city’s residency requirement, a law frequently ignored and weakly enforced, according to a Globe analysis of payroll and property records. Among them: the Police Department’s second in command, Superintendent in Chief William G. Gross, who lives in Milton, according to payroll records. But he’s hardly alone. Managers in the city’s technology division and the Inspectional Services Department, high-ranking school administrators, and the head of the school police, Eric J. Weston, also live beyond Boston’s border. So does Matthew A. Cahill, executive director of the Finance Commission, a city watchdog agency. The Globe identified at least 50 municipal employees living in the suburbs in apparent violation of the residency requirement. But there may be hundreds more violating the spirit of the law, if not the letter: Many School Department employees — nurses, psychologists, guidance counselors, and others — have been allowed to ignore the residency requirement and live in the suburbs. In the four decades since the residency rule was introduced — it arrived at a time when the city was hemorrhaging middle-class families — a simple idea has been overtaken by a contradictory patchwork of ordinances, state laws, and labor contracts. At times, tradition, as much as statute, has dictated application of the policy, allowing some employees to live in the suburbs because of the vagueness of the rules. The city’s newly elected mayor, Martin J. Walsh, saw firsthand the perils of trying to amend the residency rule when his plan to exempt select top officials from the requirement provoked a fierce backlash. Walsh said the Globe’s findings brought serious “concerns to light,” and he pledged that his administration would investigate individual cases and work to fix the residency policy, although he has not yet figured out how, he said. The mayor said he was not prepared to terminate the employment of longtime municipal workers living outside the city, especially members of the police command staff, even though the law calls for firing employees who flout the residency requirement. The employees identified by the Globe were not exactly hiding where they lived. The city payroll office listed the employees’ home addresses in the suburbs. The Globe review — which involved analyzing employees’ home ZIP codes, date of hire, and union status — determined that the residency law has been arbitrarily applied and unevenly enforced. The ordinance has become so porous that only 43 percent of Boston’s nearly 18,000 employees are now required to live in the city. Still, even if they’re not required to live in the city, most do: According to the payroll, roughly two-thirds of municipal workers call Boston home. Higher-paid city employees are more likely to live in the suburbs, the Globe review found. The inconsistency of the residency policy is perhaps most stark in schools. Joe Fidler is a night-shift custodian who earns roughly $17 an hour cleaning the former Hyde Park High School, a building now occupied by two schools. 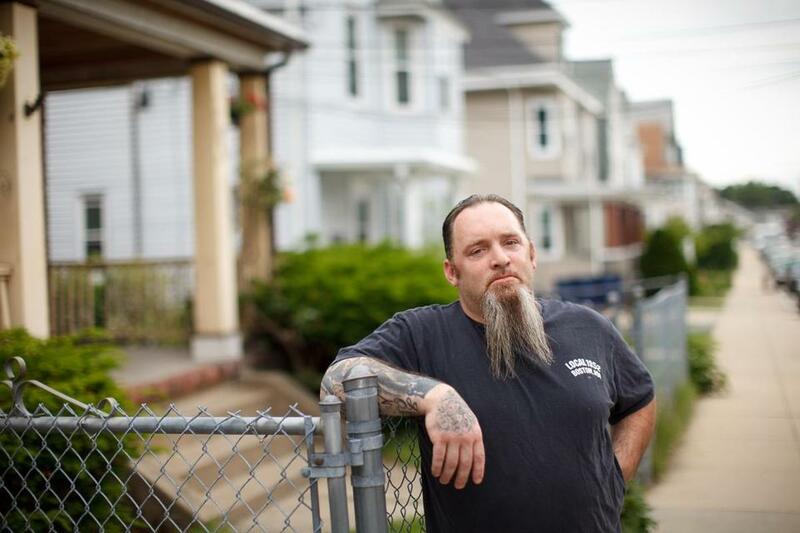 With eight years on the job, Fidler is required to live in Boston, and he just moved with his wife and two children to Hyde Park from a three-bedroom apartment in Roslindale because they could no longer afford the rent. In the building Fidler cleans, 10 teachers and other classroom instructors who have not worked for the city as long as he has live in the suburbs, according to payroll records. Almost all of the instructors are paid more than Fidler, according to payroll records, but they commute from Malden, Quincy, and other towns where property can be less expensive than Boston. Teachers and other classroom instructors are exempt under state law from the residency requirement, but the statute does not specifically address other School Department employees represented by the Boston Teachers Union. The School Department has not forced the issue, resulting in an inequitable system that disproportionately affects lower-paid workers. Most other unionized city employees — including custodians who mop school hallways — must live in Boston for a decade before having the option of moving out of the city. The residency requirement still has its staunch defenders, including Walsh, who said he favors residency in “99.9 percent of cases.” Another is Eileen Boyle, a longtime crusader for the residency policy who led a push to toughen the requirement in the 1990s. She credits the law for creating stable neighborhoods filled with municipal workers. But Boyle expressed frustration that city officials have ignored violators for years. Some analysts argue that the residency law has outlived its usefulness in a city with a surging population and rising housing costs. Northeastern University economist Barry Bluestone said the policy would make sense only if the city was providing housing that allowed people to live in Boston at an affordable price. Edward L. Glaeser, a Harvard professor who studies the economics of cities, said a resurgent Boston does not need a law to retain residents or boost demand for local real estate. Big cities across the nation adopted residency policies in the 1970s hoping to combat urban flight. Boston was not immune from that phenomenon, as the city’s population shrank 20 percent over two decades. But Boston’s residency requirement has been, from the start, a convoluted remedy. For example, top city officials and mayoral appointees have historically been given six months to move to the city, a courtesy Walsh recently extended to a year. But the legal foundation for the grace period is questionable, according to John McGonagle, who has served as chairman of the residency compliance commission since its inception. The first residency law was passed in 1973 and required “each officer appointed by the mayor or elected by the City Council” to become a Boston resident within six months. Officers were defined as the police and commissioners, city auditor, and other department heads. Initially, both laws were largely ignored and the requirement was diluted. The state enacted laws championed by unions that nullified the residency requirement for all teachers, paraprofessionals, principals, and other classroom instructions and their supervisors. In the early 1990s, Mayor Thomas M. Menino strengthened the city law, creating the Boston Residency Compliance Commission. He appointed McGonagle, his Hyde Park neighbor, as chairman, a post he has held as an unpaid volunteer for two decades. The get-tough-on-residency push grabbed headlines. In one instance, a blind man with cerebral palsy who had worked for the city for 10 years was forced to resign. After nearly a decade, the Menino administration softened. The residency requirement became a bargaining chip to help settle labor contracts. Now, all of the city’s unions except one have secured the right for employees to move out of Boston after 10 years on the job. The commission has one paid investigator, and in the last 20 years, 150 employees have been forced off the city payroll for living in the suburbs. That includes 69 employees caught living outside of Boston; 81 others resigned before they could be fired. The commission is reactive by design and only responds to complaints, McGonagle said. It does not proactively hunt for violators. The senior members of many city departments live outside Boston. Take the Boston Fire Department. Of the 65 highest-ranking members, only 14 live in Boston. With the exception of the fire commissioner, all top members of the department are members of the union. The union contract allows them to move to the suburbs after 10 years on the job. Then there’s the police command staff. All 22 of the top-ranking officers worked their way up through the union, meaning they could move out of the city after 10 years. But because they moved into management, they are out of the union, and therefore no long covered by the 10-year exemption in union contracts. McGonagle described the police command staff as a “gray area” unique to the police department. Boyle, another member of the residency compliance commission, said she thought any nonunion employee “should be living in the city.” Vivian Leonard, Boston’s human resources director, agreed that nonunion employees must live in the city. The Finance Commission’s Cahill said his agency is unique because he reports to a state-appointed board, although he is paid by the city. The residency requirement has never “been addressed either way for us,” said Cahill, who lives in North Grafton. Cahill said that when he did live in Boston, he felt harassed by police and other city workers he was paid to scrutinize as a watchdog. Gross, the police superintendent in chief, declined an interview request through a department spokesman. Police Commissioner William B. Evans, a lifelong South Boston resident, said he selected his command staff based on experience and to add diversity to the upper ranks of the department. Andrew Ba Tran of the Globe staff and Globe correspondent Jacqueline Tempera contributed to this report. Andrew Ryan can be reached at andrew.ryan@globe.com Follow him on Twitter @globeandrewryan.